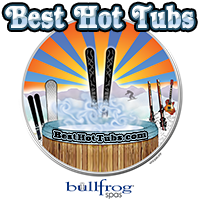 Best Hot Tubs showrooms (Westbury, Farmingdale, Windham/NY) do not just sell the best hot tubs available — Bullfrog Spas — we also stock the best hot tub accessories. 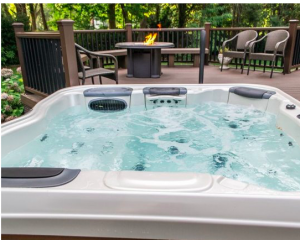 Located in the heart of three vital communities, Best Hot Tubs operates as a local dealer, so you can trust that we stand by what we sell. Accessories enhance the spa experience. In some cases, it’s the style of an accessory that’s important. Other spa extras involve safety, proper hot tub maintenance, or individualized massage-jet hydrotherapy. However. 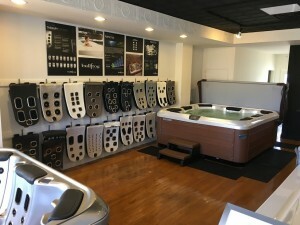 Whether or not you purchased a spa from Best Hot Tubs, our showroom experts are always happy to help you choose just the right cover to match, for example, the color of your spa’s shell. With a local dealer, you’ll have the comfort of knowing you have bought a quality cover that will last, and will protect your spa water from debris, and unsanitized liquids. “Rain, snow, etc. throws off your hot tub’s chemical balance,” adds Bill. 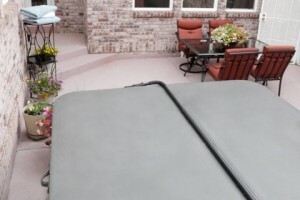 “A cover really helps keep hot tub water clean and healthy. No matter how good a parent one is, there may be times when there’s no supervision around. 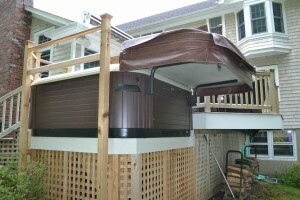 Having a hot tub cover that can be locked down for safety reasons gives great peace of mind. This particular spa accessory is small, but adds a big layer of safety that is truly comforting. The Bullfrog Spas’ cover lifter does just what the name implies: it lifts the cover — and, in seconds! This miracle device will also hold the cover safely in place and can also be set in an upright position for extra privacy. A hot tub cover that’s easy to use means, well, you’ll use it. That’s a good thing. If you don’t want to have steps custom made, we recommend DuraSteps by Leisure Concepts. It doesn’t matter whether your spa is round or square, these steps are practical and durable. These come in a variety of colors: Coastal Gray, Redwood Brown, Espresso and Portabello. The steps are designed to keep their good looks for a long time and offer desirable safety traction for wet feet. 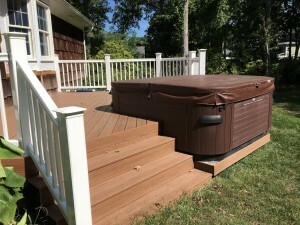 Even if for easy access you recess your hot tub into a deck or other casement, a handrail can offer an additional layer of safety. They are a great accessory, especially if you are getting a hot tub for health reasons, or you have young children. 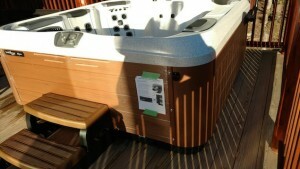 They attach easily to the spa and change direction for support when getting both in and out of the hot tub. 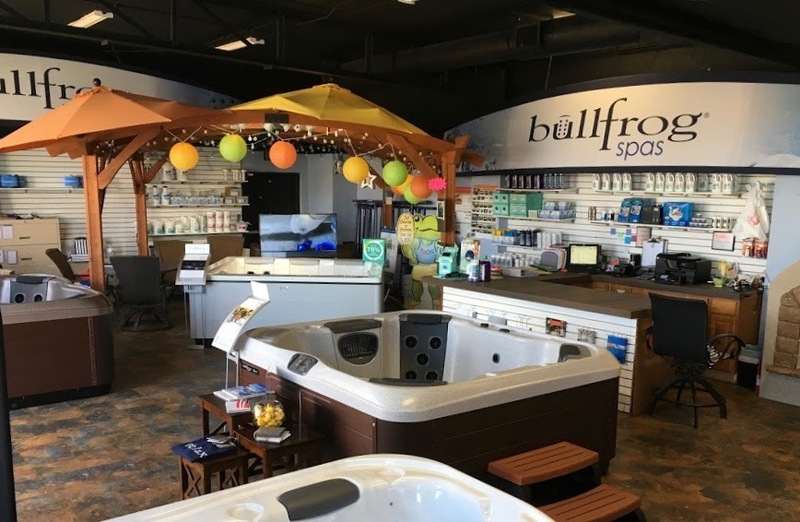 “Being able to personalize massage options, for example — available only with Bullfrog Spas patented JetPak system — is one reason people choose this brand,” says Best Hot Tubs’ own Bill Renter. Who doesn’t want clean hot tub water. There’s lots of great products to help do just that — the Spa Frog Mineral Sanitizer, floating chlorinators, Sparkle Spa and Spa Bromine/Chlorine Dispensers. 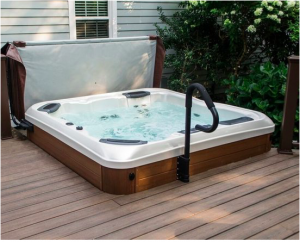 Best Hot Tubs also has combo sets for maintaining clean water. There’s lots of ways to light an outside fire. There’s the familiar fire pit, and fireplace, plus the more modern natural gas fire tables. With many of these fire tables, just click the remote control and before you can say s’mores, you’ll have a backyard blaze that can warm those in the hot tub and around you. Other practical spa accessories include hot tub vacuums, test kits, thermometers, as well as additives and purges that help expel or soak up oils and suntan lotion. “In addition, a local dealer like Best Hot Tubs provides a great place to speak with experts about the perfect place to locate a spa on your property, how the local water works in a portable hot tub, how to determine the right hot tub size for your needs, as well as the right chemicals to use, etc.,” says Bill.